Stay tuned for the 2018 Spring Conference Information. It’s our 25th Annual event so it’s going to be good. Below are the details from the 2017 event. Gabe Brown’s Keynote Address takes place at 1:45 pm on Saturday Only. The Keynote Address is included in the cost of the conference registration. For Gabe Brown’s Bio, click here. 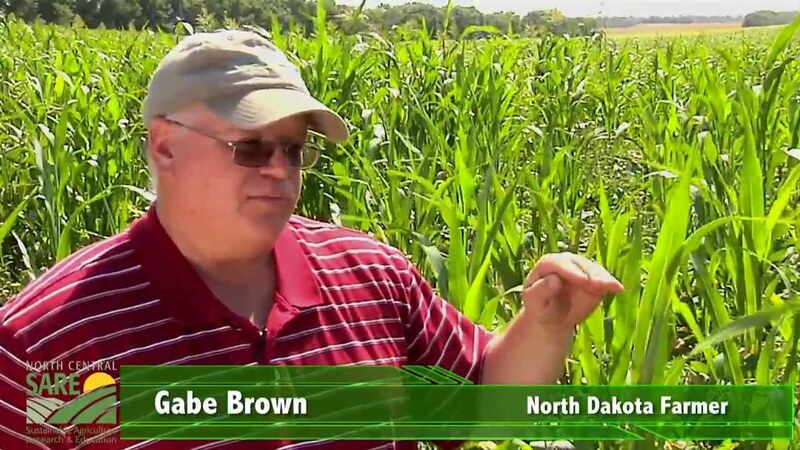 Join Gabe Brown as he shares the inspiring journey from conventional farming to solving problems in a natural and sustainable way. At Brown’s Ranch, we regenerate landscapes. We do that through the practice of Holistic Management and by farming and ranching in nature’s image. Improving soil health is a priority and no-till farming has been practiced since 1993. As a result, all aspects of our farm are thriving. We have eliminated the use of synthetic fertilizers, fungicides, and pesticides. We use minimal herbicide and are striving to eliminate it. We do not use GMOs or glyphosate. This results in increased production, profit, and a higher quality of life for all of us. We are moving towards sustainability for not only ours but future generations as well. Siblings, Matthew & Althea Raiford, reclaimed family land in South Georgia, to become sixth generation farmers. Both military veterans, they received a grant from Veteran’s Farmer Coalition and started the steep learning curve this is farming. Over the last six years, the challenges have included lack of resources, lack of regional knowledge on organics, lack of a strong support circle, and nay Sayers galore. By working together, they’ve come a long way from the idealistic vision that brought them back to the land and have learned hard-won lessons. They now run a farm, a market, a restaurant, and have become national speakers. Their biggest discovery? That all along what they’ve been growing more than anything, is community. Matthew & Althea’s Keynote Address takes place at 1:45 pm on both Saturday and Sunday. For Matthew & Althea’s Bio’s, click here.